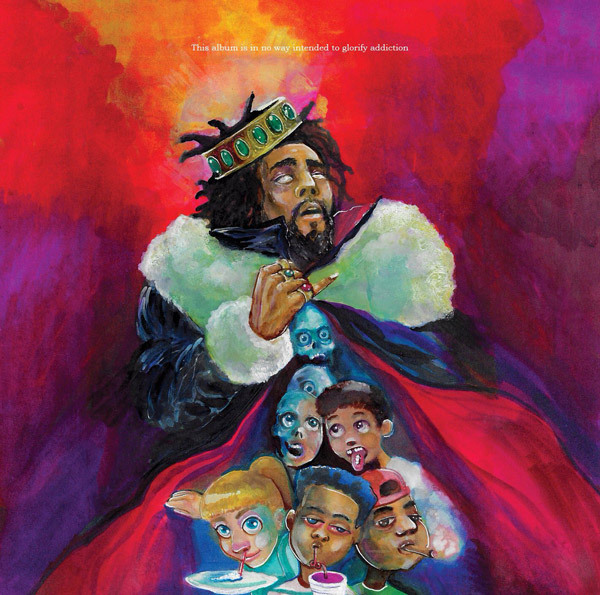 J. Cole’s fifth studio album, K.O.D, has officially arrived as blasted. It’s said that the project was recorded in only two weeks and has three meanings for the acronym K.O.D, including “King Overdosed,” “Kill Our Demons,” and “Kids on Drugs.” It’s also said that in this one he focused on his ruminations on black America and the state of the union are still present, but are less objective reporting and more acquired wisdom from his life as a reluctant superstar. It contains 12 tracks in total and features two songs with Cole’s alter-ego Kill Edward, who appears on ‘The Cut Off’ & ‘Friends’.